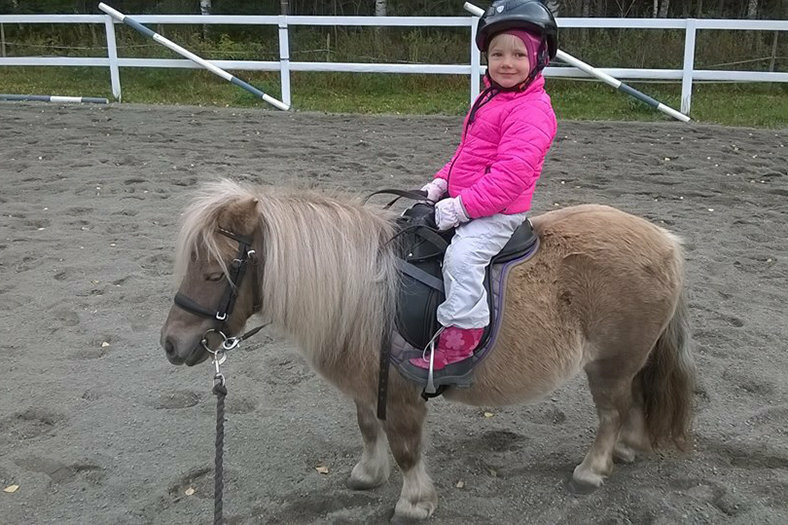 Come and enjoy our horse services at Ratsastus ja vikellys Rasipelto in Kangasniemi. 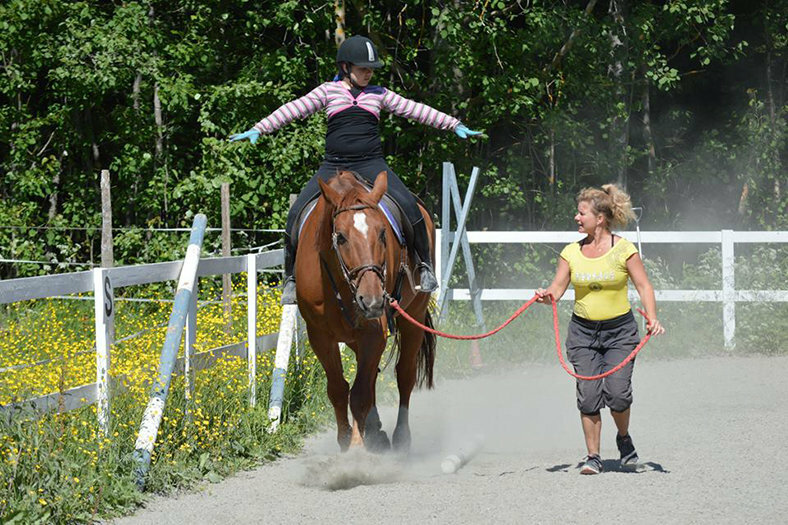 Get to know the traditional finnish horses, different size of ponies and big latvian sporthorse. Also getting to know mini shetland ponies and taking care of them is a dream come true of many little ponygirls and boys. 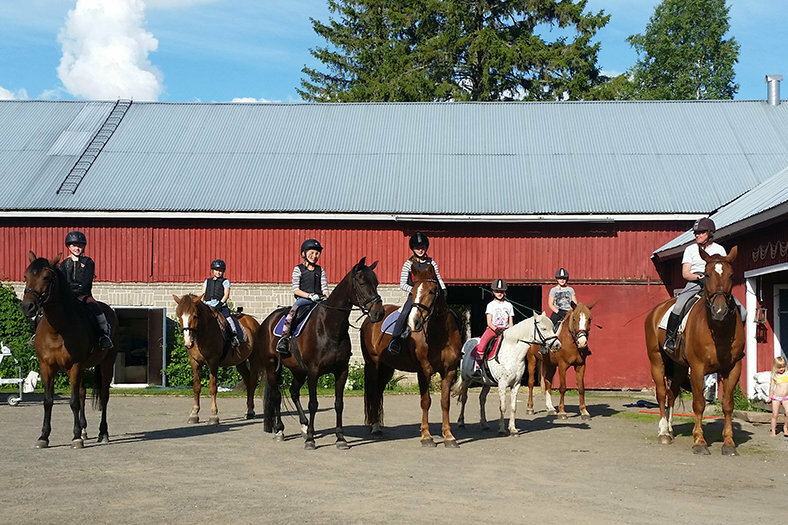 We have had horses over 30 years, and now we have eight horses and we offer private and group lessons for the beginner through advanced riders on horses and ponies. If you are a good rider, you can enjoy forest hike on horseback, and see the beautiful landscape that begs to be seen. 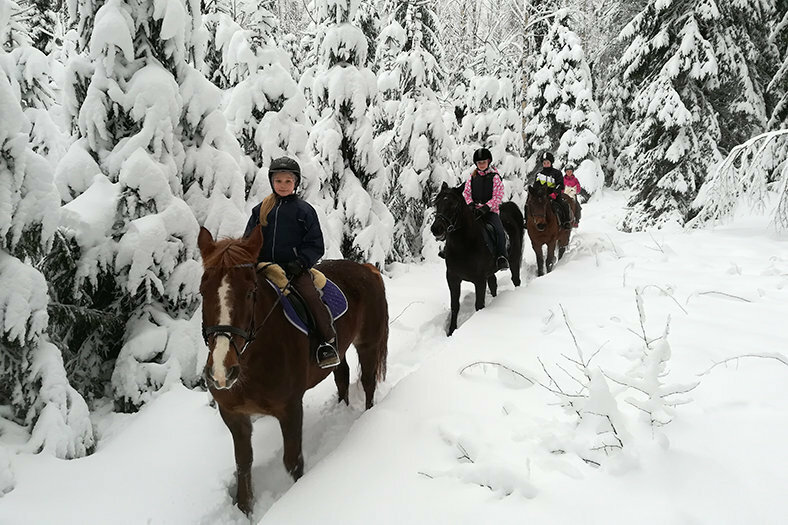 It is possible to harness the finnish horse and enjoy country landscape by garreiagedrive, or in wintertime you can feel the silence of the nature by sleighride. We also offers equestrian vaulting. It is gymnastics on a horse. This is done individually, in pairs and in a team. This fun activity for all ages promotes co-ordination, balance and strength. We recommend to wear for riding classes comfortable pants and a shoe with low heel. We can provide you of a helmet if you don´t have one. Give us a call and ask more!